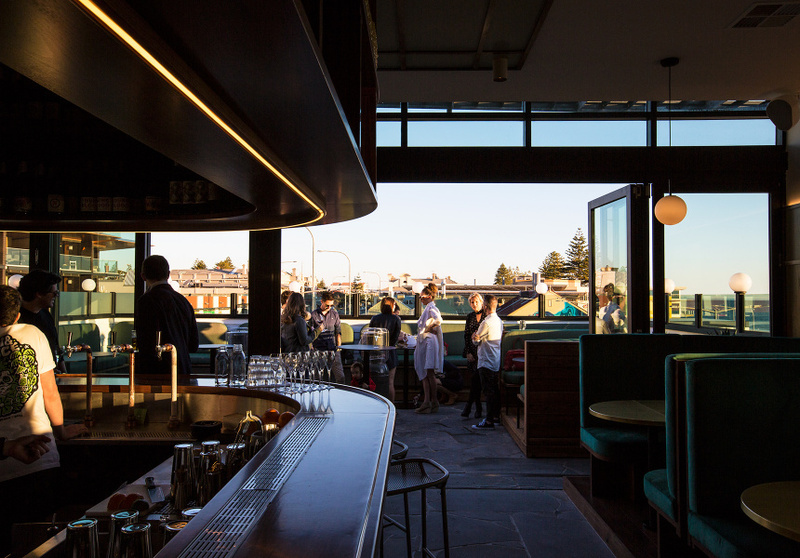 Just a short walk from Henley's coastline and its bustling, revamped square is rising Adelaide hospitality star Ollie Margan's West. The 26-year-old mixologist and entrepreneur spent a year crafting the venue, which sits atop the Melt Henley and SeaSalt complex on Seaview Road. While Margan considers his other bar, city speakeasy Maybe Mae, as something very much tied to his own creativity, at this spot he had director's cut from start to finish. 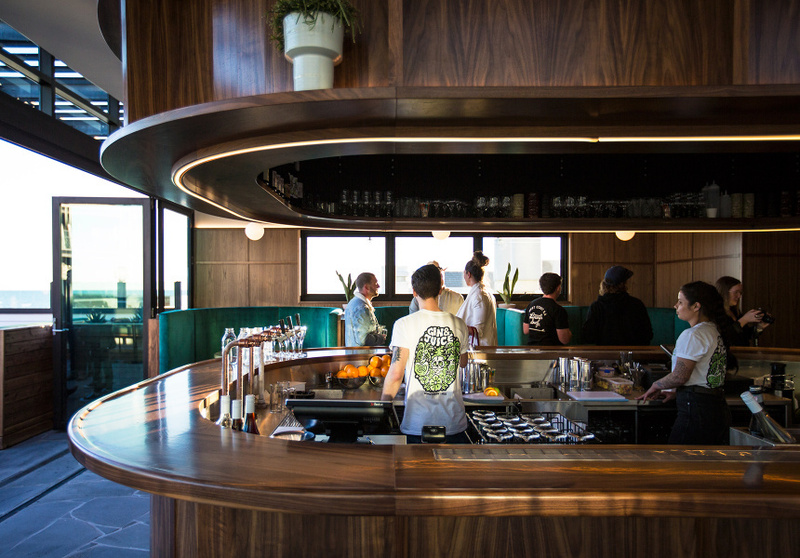 Margan describes the bar’s look – perfected by design firm Studio-Gram – as “your grandparents' house in the '60s and '70s” complete with retro hardwood timber. 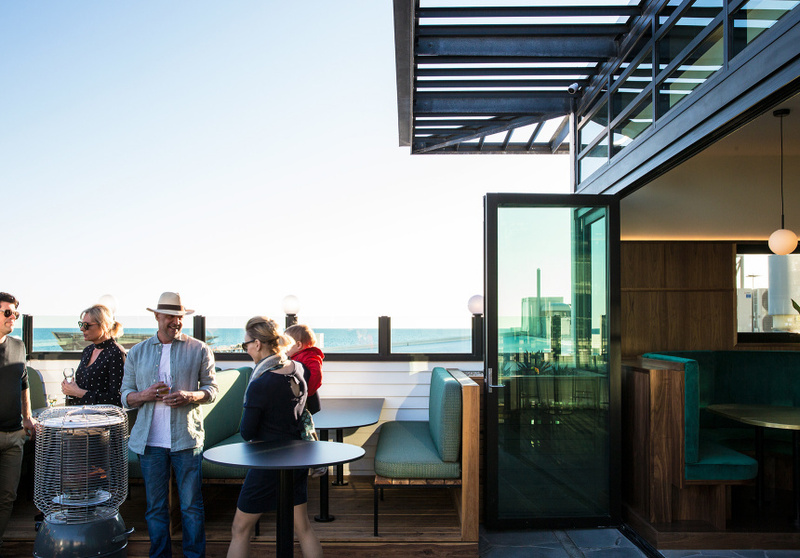 Former Maybe Mae bartender Jameson Gregg is the rooftop bar’s head mixologist, charged with keeping patrons hydrated by the sea. The drinks list is about adding a seaside vibe to classic cocktails. A small food menu is available, made up of a selection of traditional Japanese sandos, with flavours ranging from prawn cocktail, baloney and curried egg. The venue has a capacity of up to 70 and is open seven days a week.